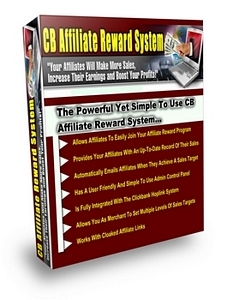 aturally, you already know that one of the most effective methods of growing your online business is to have an army of affiliates promoting your products. If you are like me, you will already be aware of Pareto's Law which states that 80 of your affiliate generated sales come from just 20 of your affiliates. And that's if you're really lucky... Often, less than 9 of all affiliates make more than just one or two sales. What if there was a way of firing up your affiliates with energy and enthusiasm?